In those statements, Omar accused Jewish Americans of holding dual loyalties. There’s no other way to read it. This accusation is an age-old slur that goes back millennia. The vizier of ancient Persia, Haman, once used a similar line to stoke fear and hatred of the Jewish people 2,400 years ago as he plotted against their very existence across the empire. The attempt by anti-Semites to manipulate political leadership and national opinion against the Jewish people continues. How appalling that this kindred spirit of Haman now stirs within the U.S. Congress. Her words are just a symptom. The more disconcerting problem is what she believes. 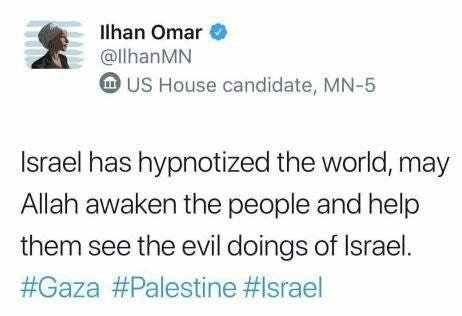 And her powerful position as a member of the Foreign Affairs Committee enables her to normalize this anti-Semitism, spread falsehoods, and influence our international relations. Omar’s extremist views have been known for the better part of a decade, dating back to her time in the Minnesota Legislature. Jarringly, she was one of just two members of the Minnesota House to oppose legislation limiting life insurance payments to the beneficiaries of those who died in the furtherance of terrorism. 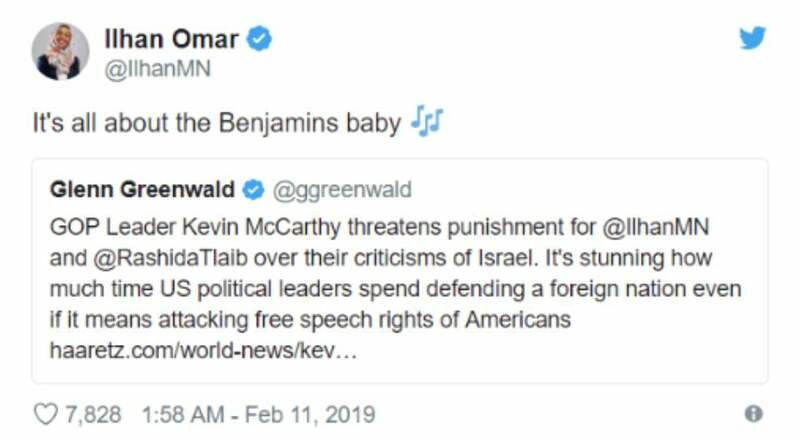 After winning election in November, Omar’s campaign clearly identified her as a supporter of the so-called BDS movement against Israel. The acronym stands for boycott, divestment, and sanctions. In the story of Esther, King Ahasuerus’ heart turned became fortified against Haman’s slander when reminded of an act of loyalty by Mordecai, a Jewish leader, who overheard and warned of a plot against his life. Mordechai’s niece—Queen Esther—boldly exposed to the king the details of Haman’s ultimate aims. Deliverance sprang forth through these heroic acts. Just as in Persia in 356 BCE, Jews play an important role in American civic life in 2019. Their commitment to their faith and tradition, and support for extended family in Israel, does not conflict with their patriotism and allegiance to the United States—the last best hope of man on earth. Hamans exist in every generation. In a democratic society, private citizens should confront this evil by speaking truth. In the case at hand, congressional leaders have additional options at their disposal. House Speaker Nancy Pelosi can remove Omar from the Foreign Affairs Committee, her House colleagues can censure her, and her constituents can protest. Her bigoted remarks seek to cast doubt on the patriotism of Jewish Americans, and her warped views diminish the security of the entire free world. Later this month, Jews will celebrate the annual Purim festival to commemorate the survival of the Jewish people against the evil plots of Haman. His ghost should not be haunting the halls of Congress.